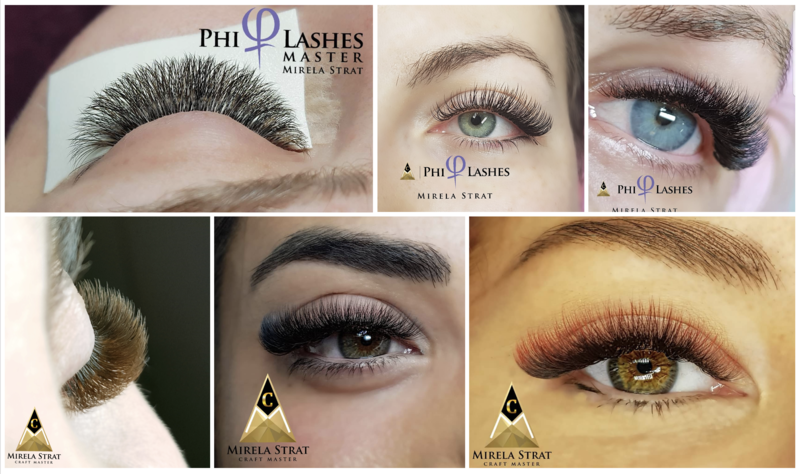 PhiAcademy’s PhiLashes has formalised the trends & techniques of creating eyelash extensions. Our goal is to achieve perfection, to create the most desired look by delivering the highest quality in materials and skills. Mirela Strat is a renowned Master Trainer and now offers her workshops to PhiAcademy New Zealand.  If you want to take your lash skills to the next level or offer a new service to your clientele, this is a fantastic education. Philashes Basic Foundation Training teaches the beginner lash artists the basics of Individual eyelash extensions right through to advanced and lashing techniques. This program has been developed for the Beginner lash artists to start a career with skills that will set them apart from their competition. The course will cover theory and practical requirements to get the right skills and confidence to create beautiful long-lasting eyelash extensions for customers. The Basic Education is a one day workshop, upon completion of the live training, you will receive 6 months access to CraftMaster, an app written specifically for PhiAcademy students. Within this app there are hours of lectures, video material and lessons to view. You will also have levels to complete within the 6 months access. Once you have completed these levels and shown proof of good works, you will be endorsed with a PhiLAsh Artist Certificate and be placed on the PhiAcademy World Community Map. Russian volume is the newest trend in the lash industry which gives lash artists the ULTIMATE results in lash fullness and density. As opposed to classic lashing which is one lash extension per one natural lash, volume lashing teaches the advanced technique of multi lashing which uses from 2 up to 10 of the thinnest/finest lash extensions on each natural lash, creating lash sets of 200-700 lashes per eye! Create breath- taking lash extensions with this advanced technique originating from Russia. Learn how to properly customize handmade fans to compliment the look of your client’s eyes through advanced volume training course. During this extensive two day training, you will learn multiple techniques to efficiently and properly apply volume lash extensions. This is a Master developed program created to provide you with ultimate knowledge, skill and confidence in order to bring you a booming clientele right out of our programme. Our course covers every aspect of volume applications, as well as lash direction, adhesive control, impeccable isolation, volume lash theory, sanitation, common eye conditions and counter indications, client preparation, lash style guides, lash application VOLUME FULL SET and in-fills appointments removal of eyelash extensions. It also includes aftercare of volume eyelash extensions and extending difficult lashes. The Beginner Russian Volume Education is an extensive two day workshop, upon completion of the live training, you will receive 6 months access to CraftMaster, an app written specifically for PhiAcademy students. Within this app there are hours of lectures, video material and lessons to view. You will also have levels to complete within the 6 months access. Once you have completed these levels and shown proof of good works, you will be endorsed with a PhiLAsh Artist Certificate and be placed on the PhiAcademy World Community Map. **This education is ideal for lash artists with experience in basic eyelash extensions, with at least 6 months experience. Russian volume is the newest trend in the lash industry which gives lash artists the ULTIMATE results in lash fullness and density. As opposed to classic lashing which is one lash extension per one natural lash, volume lashing teaches the advanced technique of multi lashing which uses from 5 up to 10 of the thinnest/finest lash extensions on each natural lash, creating lash sets of 500-1000 lashes per eye! Create breath- taking lash extensions with this advanced technique originating from Russia. During this one day training, you will learn multiple techniques to efficiently and properly apply volume lash extensions. You will be able to give your clients the fullness they desire without compromising the integrity of their natural lashes. Upon completion of the live training, you will receive 6 months access to CraftMaster, an app written specifically for PhiAcademy students. Within this app there are hours of lectures, video material and lessons to view. You will also have levels to complete within the 6 months access. Once you have completed these levels and shown proof of good works, you will be endorsed with a PhiLAsh Artist Certificate and be placed on the PhiAcademy World Community Map. **This education is ideal for lash artists with experience in basic eyelash extension.